The CBI, long accused of being a tool in the hands of the party in office at the Centre, finds itself under the lens once again following the Kolkata showdown. 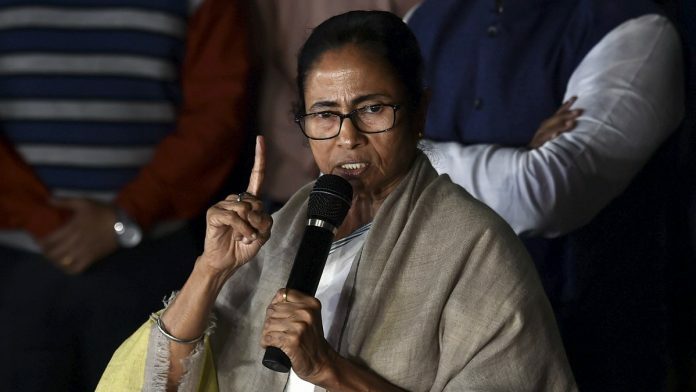 New Delhi: Opposition parties from across the country rose in support of West Bengal Chief Minister Mamata Banerjee as she took exception to the CBI’s bid to question Kolkata police commissioner Rajeev Kumar at his residence Sunday. Kumar, who headed the special investigation team looking into the Saradha Ponzi scam, is is accused of destroying documents. The CBI is investigating the case on the Supreme Court’s order, but murkying the waters is the fact that West Bengal had last year withdrawn its ‘general consent’ for the agency to pursue cases in the state — the CBI now has to move the state government for consent on a case-to-case basis. West Bengal’s decision, taken soon after a similar move by the Telugu Desam Party (TDP)-led Andhra Pradesh, was reportedly triggered by allegations that the Bharatiya Janata Party (BJP), in office at the Centre, was using the agency to settle political scores. These allegations, however, are nothing new for India’s premier investigative agency, which has frequently been accused of being putty in the hands of the ruling dispensation, be it the BJP or the Congress. Other central agencies, notably the Enforcement Directorate (ED), have courted similar charges. As the fracas in Bengal continues, ThePrint looks back at some of the other National Democratic Alliance (NDA)-era instances when the CBI and the ED have been criticised for allegedly doing the bidding of their political masters. On 25 January 2019, days before a much-awaited bypoll in Jind, the CBI booked senior Congress leader and former Haryana chief minister Bhupinder Singh Hooda for alleged cheating and corruption in land acquisition from farmers in Gurugram, Haryana. This was the CBI’s third FIR against Hooda, who is also under the lens for alleged irregularities in two other land-related deals dating back to the Congress’ days in office. A probe was ordered by the Supreme Court in November 2017, and pertains to accusations that farmers were misled into making a distress sale of their plots, measuring hundreds of acres, to private builders. The FIR was followed by CBI raids at Hooda’s residence in Rohtak as well as 20 other locations in Delhi and the National Capital Region. Hooda had termed the raids, which came months ahead of state polls and the Lok Sabha elections, “political vendetta” to suppress his voice. Just three weeks before the FIR, the former chief minister was granted bail by a CBI court in Panchkula, regarding alleged illegal re-allotment of land to Associated Journals Ltd (AJL). Also read: Is CBI overstepping in West Bengal or Mamata Banerjee politicising due process? The new year started with talk of Uttar Pradesh arch-rivals Samajwadi Party (SP) and Bahujan Samaj Party (BSP) joining hands for the Lok Sabha elections. A week before the alliance was formalised at a joint press conference in Lucknow, the CBI launched raids across UP over allegations of illegal mining of minor minerals in Hamirpur between 2012 and 2016, when the SP was in office. It was on a 2016 order of the Allahabad High Court that the CBI had launched a probe into alleged illegal mining across UP. The Hamirpur case is the subject of the CBI’s third FIR in the matter. It names, among others, IAS officer Chandrakala, Samajwadi Party MLC Ramesh Kumar Mishra and Sanjay Dixit, who contested the 2017 state assembly election on a BSP ticket. The FIR also stated that Akhilesh, the former chief minister who held the portfolio of mining for a part of his tenure, might be questioned as well. SP chief Akhilesh had termed the CBI action “politically motivated”, with BSP supremo Mayawati calling it the result of the BJP’s “political animosity”. In January, the ED raided seven locations in Lucknow in connection with the alleged ‘memorial scam’, which pertains to allegations of money laundering during the erstwhile BSP government’s drive to build memorials. These were built during BSP supremo Mayawati’s tenure as CM. The ED had first registered the case in January 2014. In August 2018, Ahmed Patel, Congress’ Rajya Sabha MP from Gujarat, was linked to the Sterling Biotech loan default and money-laundering case for a second time. The Gujarat-based company is under ED investigation for allegedly laundering money, and was also booked by the CBI for allegedly defaulting on loans of over thousands of crores. Earlier, Patel’s name had cropped up after an ED raid against the Sterling Group in August 2017, which came a week after the Congress flew 42 of its MLAs to Karnataka amid fears of horse-trading ahead of the Rajya Sabha vote in Gujarat. Their suspicions were based on six back-to-back resignations by Congress MLAs. In December of that year, right after the Gujarat assembly elections, an executive of the company, Sunil Yadav, reportedly told the ED during questioning that one of the owners of the Sandesara Group, Chetan Sandesara, had paid “huge amounts of cash” to Patel’s son-in-law Irfan Siddiqui. He is said to have also claimed that he got cash sent to Patel’s son Faisal on behalf of Sandesara. Barely days before panchayat polls were slated to begin in Odisha in 2017, the CBI raided the homes of a BJD MLA, an MP, and the office staff of Chief Minister Naveen Patnaik. The agency suspected their involvement in a chit fund scam, which allegedly saw a firm named Seashore Group dupe investors of nearly Rs 500 crore. Saroj Sahoo, considered a close aide and part of Patnaik’s office staff, had already been questioned in the case in 2014, after the Supreme Court ordered the CBI to launch a probe in the case. Sahoo and another BJD leader were summoned by the CBI again last month, as Odisha gears up for Lok Sabha and assembly elections in a few months. The year 2016 saw an unprecedented crisis embroil Uttarakhand, when the Congress was in office. Nine MLAs rebelled against the Congress during the assembly’s budget session, stripping the party of its majority in the 70-member house. The Centre subsequently sacked the government, after which then chief minister Harish Rawat moved the Uttarakhand High Court. As the court ordered a floor test on 31 March, the rebel MLAs alleged Rawat had offered them bribes to vote for him, also releasing a “sting CD” from 26 March to support their claim. The CBI, on the basis of a PIL filed by BJP leader Raghunath Singh Chauhan, launched an inquiry on 29 April. The CBI summoned Rawat for questioning on 9 May, just a day before the floor test, which had by then already been deferred twice, was finally held. In light of the floor test, Rawat sought more time to appear before the CBI. The floor test was eventually won by the Congress. The state cabinet subsequently sought to call off the CBI probe, setting up a special investigation team (SIT) to look into the case instead as it was a state subject, but the agency refused to follow the decision. Ten days prior to assembly elections in Haryana, scheduled for 15 October 2014, the CBI moved the Delhi High Court to seek the immediate cancellation of Indian National Lok Dal chief Om Prakash Chautala’s bail. Convicted of involvement in a teachers recruitment scam, Chautala was at the time out on bail on medical grounds. The CBI based their plea on the fact that Chautala, a former chief minister, had been campaigning in Jind on 25 September. The Delhi High Court upheld the CBI’s order, and cancelled Chautala’s bail. Shouldn’t Vadra and Lalu Yadav too be in the list? If you were to make a list of Modi government going after its own, or BJP’s adversaries and not restricting it to ED and CBI, it would cover perhaps a hundred pages! Kejriwal’s Delhi and AAP’s members will comprise a fat chapter.